Vauxhall Insignia is a large family car made by German brand, Opal since 2008 in two different generations including First generation (2008-2017) and the Second generation (2017-present). Very practical and frugal, Insignia is the name of refinement and one of the best seller in the UK. So, if you are up for a large family car with lots of bells and whistles, the end of your quest is Vauxhall Insignia. The Insignia is winning the rat race in every aspect. Whether its designing or driving comfort, Insignia is winning in back to back tests. Power outputs are pretty handsome, so is the drive. There’s snappy touchscreen for radio, navigation, media and car set-up functions instead of a button for every possible function. Insignia is very well equipped when it comes to infotainment. It’s not just about the looks, but the performance on the road too when you are up for a long journey. Insignia, indubitably, delivers great performance on the road having exuberant design and driving comfort. When it comes to engines, all units are healthy and frugal. The entry-level 1.5-Litre four-cylinder turbocharged unit delivers either 138bhp or 163bhp, polite performer but more economical. Another option is the 2.0-Litre engine with 178bhp if you need a vigorous drive. You can go for Insignia Reconditioned engine if your engine is causing problems as it is low in cost but a power-packed performer. Insignia is available in different body styles according to the demands of consumers. These include a 4-door saloon, 4-door Sportback, 5-door estate and crossover. Insignia is nearly equal to the size of Mercedes E Class and BMW 5 series. Quality cabin and spacious boot work just fine. Overall, Insignia looks a little pretty monster from outside. The new Insignia, updated and improved than it was ever before and is eye-catching having a technically new design, yet some elements are similar including media controls, steering wheel, and other instruments. Material quality is just fine, however, the fit and finishing are matchless. The headline feature is OnStar, which gives concierge service via a telephone connection. Infotainment system also includes Apple CarPlay and Android Auto, with sat-nav and wireless sharing tech too. The 490-Litre boot opens nice and wide, so getting more luggage in and out is easier. There is a Bose sound system straight away up for action, though not as high-end as the systems BMW and Audi use, still it very gigantic in terms of functionality. 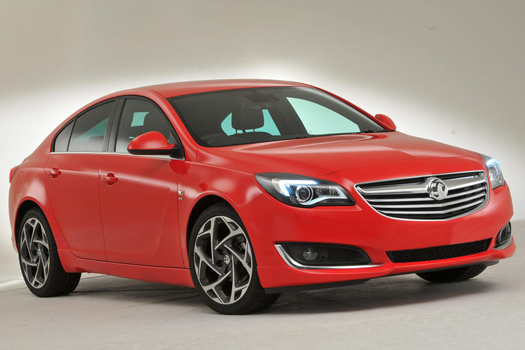 Why is Vauxhall Insignia your need right away? The upshot is Vauxhall Insignia becomes the king of the road when it comes to performance and practicality, but its sleek designing hits the nail on the head too. Vauxhall Insignia engines will never ever disappoint you on the road. So, are you up to pick Vauxhall Insignia for a thrilling and tension-free drive?